This Grade-II listed former warehouse, dating back to the 19th century, has been turned in to a beautiful aparthotel offering stylish, modern self catered apartments in Manchester city centre, close to Piccadilly railway station. These four star apartments are available in a range of sizes, able to accommodate between 2 and 6 guests. Each apartment has a well equipped kitchen, a flat screen TV and free wireless internet. The apartments have stylish modern decor combined with beautiful evidence of its fascinating history with exposed brickwork elements and original curved ceilings. 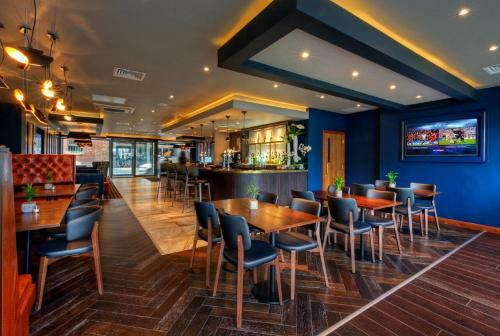 Being an aparthotel, there are additional facilities on site which include a 24 hour reception desk, a gym/fitness centre, a bistro and lounge bar and daily cleaning of the apartments.